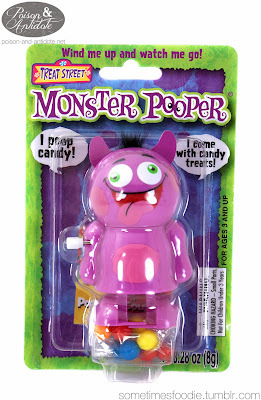 Sometimes Foodie: Monster Pooper - ??? 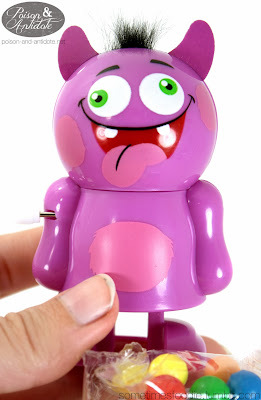 Although this is more of a toy than a candy, I'm going to review it anyway! 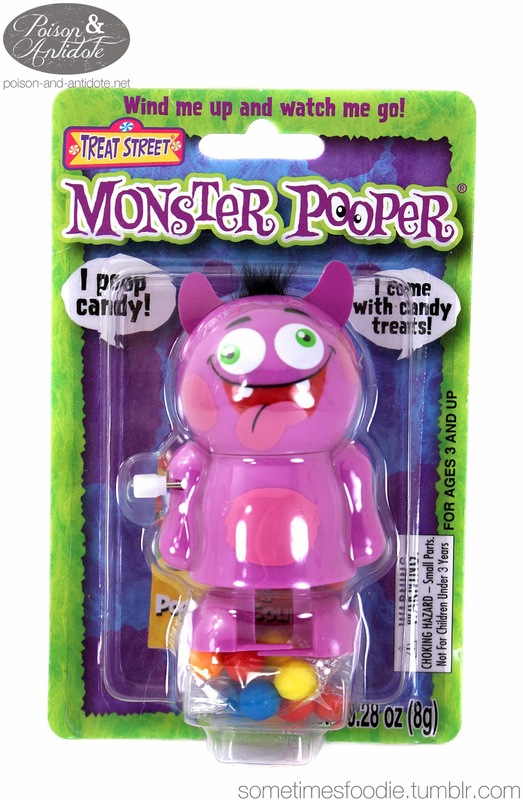 The design is pretty gaudy, but this is a pooping monster toy. What do you expect? 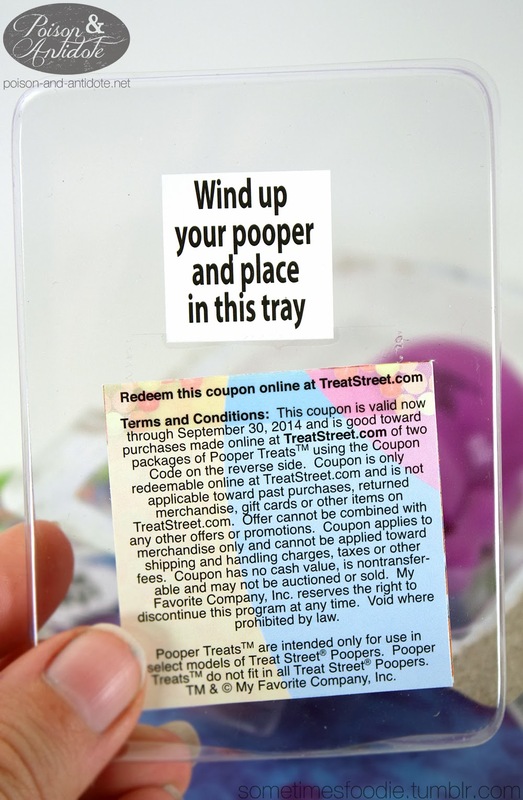 The packaging is fairly sparse, so I was a little surprised that a clear poop-tray was included. 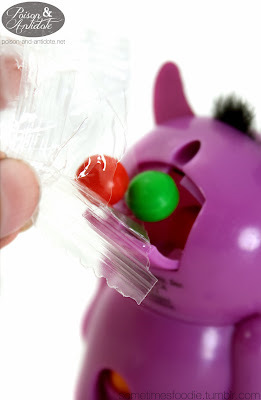 The candies are perfectly round little pellets, so the tray prevents your "poop" from rolling away while your monster is walking. I am actually shocked that a novelty product thought things through. (Good job Treat Street.) Although I appreciated the tray, I totally didn't use it. My photo set up kept the candies in check and scattered candy made for much better photos. Although all of the candies tasted artificial, the yellow/pineapple was by far the best. Although this little guy is a novelty, he is pretty darn fun. I'm not sure how much he was, but I'd say it was worth it.